This dish is ridiculously good. And it’s easy to make. It turned out to have a slightly crunchy, caramelized coating that’s almost candy-like. Let’s put it this way, you won’t have leftovers when you make this, so you might want to make a double batch! 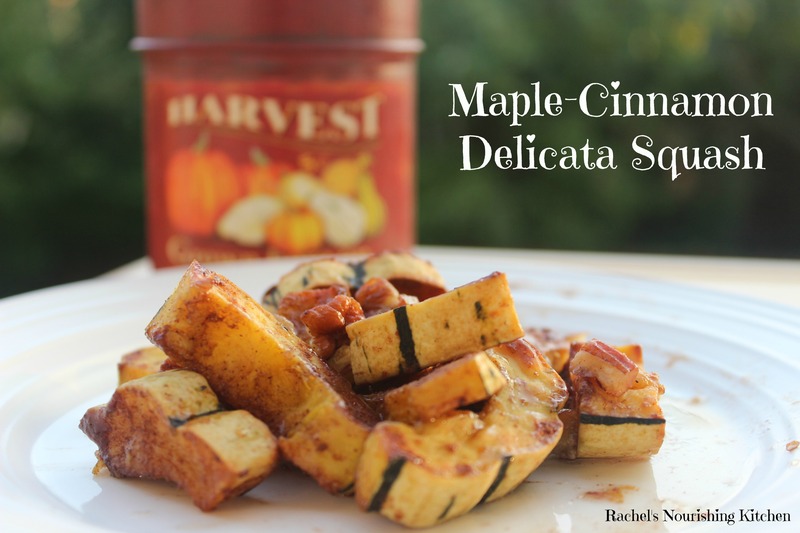 I shared a post on another blog I write for last week about how to cut up and prepare delicata squash (WAY easier than pumpkin or butternut squash). This dish combines the sweetness of maple syrup, subtle spiciness of ginger, hint of salt, and the butteryness (is that word??) of pecans. The squash has a slight, candied crunch on the outside edges and is soft and comforting on the inside. Cut the squash into half moons and then cut in half again as shown in the picture above. Combine coconut oil, cinnamon, 1 tsp maple syrup, ginger, and sea salt in a bowl and toss the squash in the bowl to evenly distribute the coating. Arrange squash in a flat even layer on a baking tray, making sure the sides don’t touch (we don’t want them to steam, we want them to roast!). Bake for 18 minutes, then remove tray and flip pieces over on the other side. 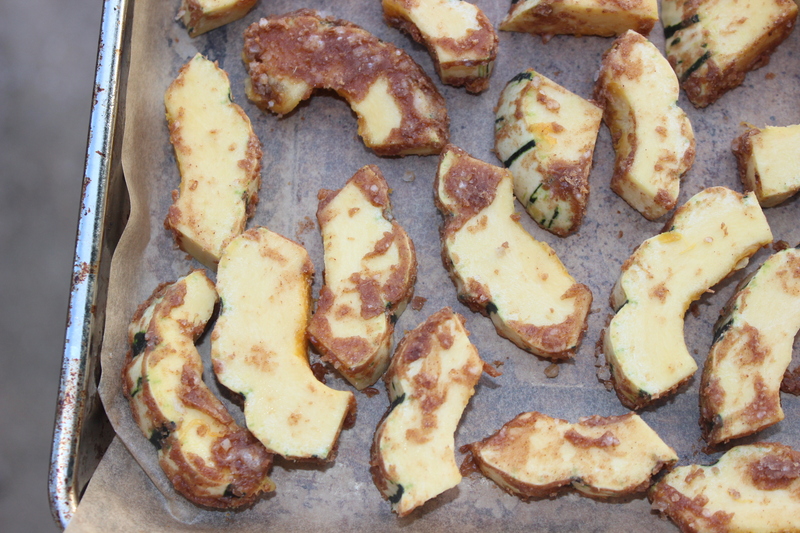 Continue roasting for 10-12 minutes or until squash can be pierced easily with a fork and is browned and caramelized. Remove squash from oven and toss with 2 more teaspoons of maple syrup and chopped pecans.